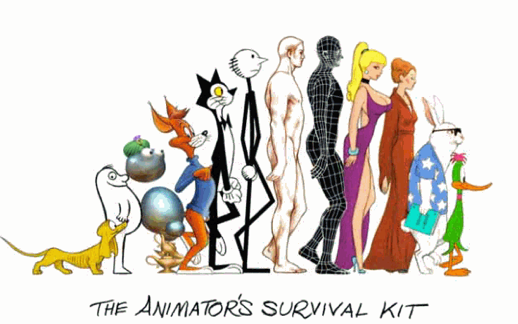 Any serious student of animation should buy a copy of The Animator's Survival Kit, by Richard Williams. 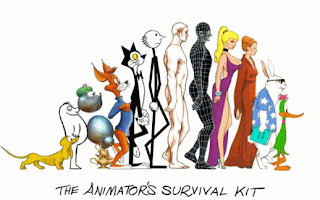 It is now the standard textbook for animators and easily the most comprehensive book available for learning animation. Animation Methods by David Rodriguez is a very useful overall guide to all the processes involved in digital animation and film-making. It is especially good for the technical bits that the older books don't cover. It takes you through Autodesk Maya and shows you what all the tools do, and how to apply them to your animation. OK - so you've bought a book or two - what else? The next thing to do, assuming you have a decent computer or laptop at home, is get yourself a free copy of Autodesk Maya. Maya is the main software we animate with, nowadays it's the industry standard. You can find a free educational license here. Start to learn the Maya interface. Below is a free tutorial in the Maya tools (there are tons of similar ones) hosted at YouTube, to get you started. Don't be daunted - just take a quick look! It does look a bit confusing at first but it's good to get familiar with the layout, and learn where the main hotkeys are, and how the interface works. You can register and get a free Maya student license here. Once you have done that, take a look at the week 1 videos at the Animation Apprentice website. The week 1 videos are all free and this gives you a general introduction to animation, helping you to get familiar with the language of the medium. Welcome to Bucks New University! If you do some or all the things on this list - you will have a great head start! We look forward to meeting you!